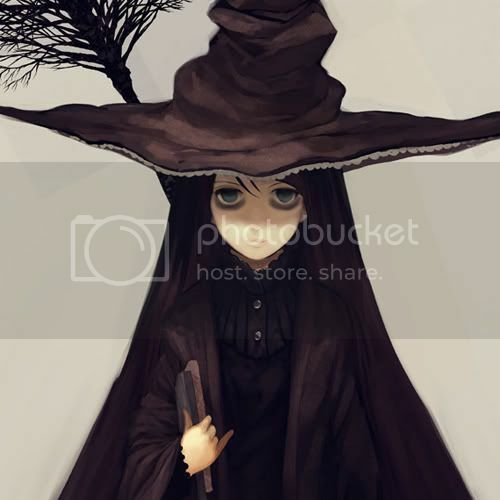 b0e4b3934806cf4 aka Vivi is a half-blood witch living in Hogwarts. She wields a 13" Willow, Ashwinder Ash wand, and is a member of the unsorted masses of Hogwarts students just off the train eagerly crowding around the Sorting Hat. Her favorite Harry Potter book is Harry Potter and the Order of the Phoenix and her favorite Harry Potter character is Sirius Black. Vivian was born and raised as a muggle for most of her childhood. However, even without knowing about the truths of the wizarding world, Vivi loved all things supernatural. Due to her odd passion and slightly off personality, she was commonly bullied and made fun of by other kids. It wasn't long till Vivi kinda just learned to accept that she was a bit strange, ignoring the taunts and teasing of others. While at the age of 9, Vivian had a serious mental breakdown. Doctors were not able to figure out the cause, but from that point on, Vivian became even stranger. She would often speak of seeing apparitions and having divination abilities while seemingly talking to herself at random intervals. Whether or not this was true was highly questionable, however, from then on Vivian barely slept at night because of this. Not wanting to put their only daughter in a crazy house, Vivian's parents decided to let her go where she belong; Hogwarts School of Witchcraft and Wizardry. Through her fear of sleep, Vivian developed a serious case of insomnia, spending constant hours of the night reading on witchcraft. Not one to have major goals, Vivian is just enjoying her time at Hogwarts in her own way. Of course, her way may be somewhat different then others. Vivian is a strange and eccentric girl. Due to not growing up with many friends, she tends to come off as anti-social. In truth, she's a very friendly person that is very easy-going. She's not one to pick fights or easily be provoked, but will protect anything dear to her. She is known for her random mind-set, unable to focus on one thought before moving to a completely different one. Those who get to know her may find it hard to keep up. With her head in a book or in the clouds, she really goes about life in her own way.